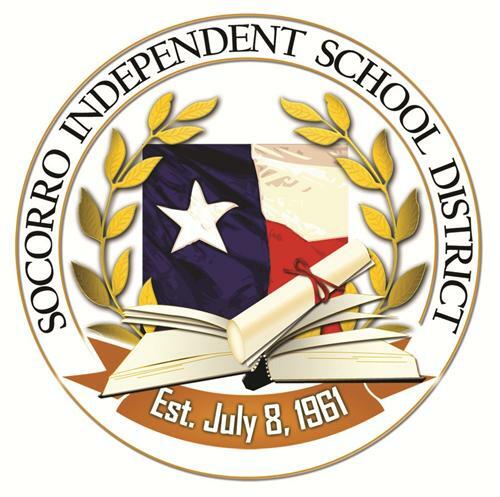 In 2004, a collaboration to improve math instruction began between Socorro Independent School District (ISD) and Math Solutions Professional Development. We first profiled Socorro’s progress in 2005. This update features the leadership and teachers at Elfida Chavez Elementary and highlights significant aspects of their journey to shift math instruction and improve student learning. school-year sessions for primary teachers to highlight and strengthen early contributions to students’ math understanding and achievement. The staff from Elfida Chavez Elementary School took part in this wide array of district-supported professional development and used it to make their vision for math teaching and learning come alive in their school. expectations that teacher learning would transform classroom practice. Michelle was not alone in launching this effort. During her first year as Principal, Michelle found that Mary Salas, a second-grade teacher in the school, held common views about the teaching and learning of mathematics. Their conversations in that first year established a collaboration that would provide leadership and direction for upcoming shifts in mathematics instruction. Mary’s leadership was key as she moved into the role of the school’s Curriculum Coach at the beginning of the 2002 school year. How closely did math instruction at Elfida Chavez Elementary mirror what they had studied about how children learn? provided teachers with Math Solutions instructional resources to help them implement new strategies in their classrooms. However, this was only the beginning. Math instructional improvement became a key element of the campus action plan. Expectations that teachers would implement new learning were clearly communicated. Marilyn Burns’s Instructor magazine article “10 Big Math Ideas” was used as a focus for the vision and implementation of changes in mathematics instruction. Teachers were released for focused grade-level planning sessions for each nine-week period. Observations of math lessons were coupled with reflective conversations to deepen teachers’ thinking about their work. Staff engaged in ongoing reflection on the faculty study of how children learn and the implications for math instruction. Connections were made to what teachers knew about good reading instruction. feedback and collegial conversations about their instruction. willingness to do whatever it took to help her colleagues. Both Michelle and Mary saw the changes in classrooms at Elfida Chavez. Students were engaged and active participants in their learning. Teachers were carefully focused on the mathematics students needed to learn and used instructional strategies to help them succeed.The focus on math instruction also affected student learning and achievement. From 2003 to 2007, significant increases were made in student achievement on the Texas Assessment of Knowledge and Skills for Mathematics, reported below by subpopulations. At the beginning of the 2007–2008 school year, Michelle Barton and Mary Salas, along with several teachers, left Elfida Chavez Elementary to open a new school, Chester E. Jordon Elementary, also in Socorro ISD. To this new school they bring their background and wisdom in building a learning community of teachers and students. As for math, the process of embracing a common vision is well under way—through school-based professional development for new teachers and through ongoing, purposeful grade-level planning for math instruction.